Whether you currently own a Chihuahua or are thinking of owning one, here's a few things you should know about the smallest dog in the world. Just because a Chihuahua is in a shelter does not mean he has behavior problems. The fact is that many really nice dogs end up at the pound through no fault of their own. 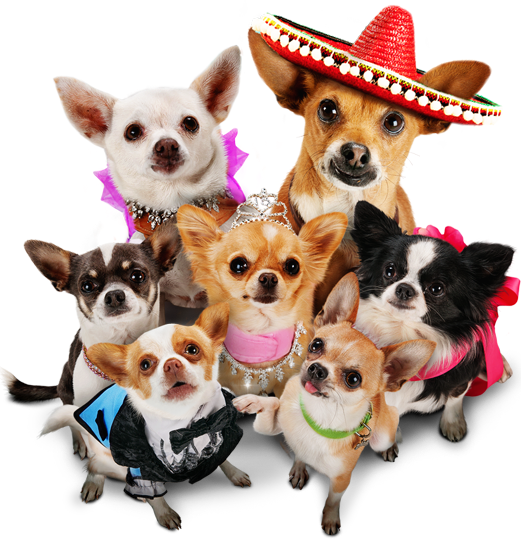 Chihuahuas have one of the largest breed representations in animal shelters across the United States. When Chihuahuas and Chihuahua mixes are surrendered, they have a pretty dim future with very high euthanasia rates. For such a popular animal, why are the kill rates so high? One of the biggest reasons is that these cute little dogs have a serious overpopulation problem in the United States and there are simply more pups than there are homes. Purchasing a Chihuahua from a breeder or pet store does not guarantee you a great dog. Unfortunately, most pet stores get their Chi's from puppy mills where the breeding dogs are not only subjected to terrible abuse and neglect, but are overbred and inbred. This means that the darling doggy in the window could have a multitude of health issues. When you adopt a Chihuahua, you are actually saving two lives! When you rescue one, you are making room for another to be able to stay at the shelter longer, upping his chances of getting adopted, too. There will be an adjustment period. Your newly adopted Chihuahua will be more grateful to you for rescuing him than you can imagine, he just might not show it! There may be some anxiety, some sleepless nights, and even some unwanted behavior but, given enough time and attention, your little pup will soon feel like he has always been a part of your family. Inside each little Chihuahua is a miniature king or queen ready to rule their realms, so they need to be taught what is acceptable in human kingdoms. They are intelligent and enthusiastic, so they usually don’t need extensive training. Chihuahuas are tiny dogs that come in many different colors, types and markings, and can have either long or short coats, but they all have large, alert ears, big moist eyes, and huge personalities. 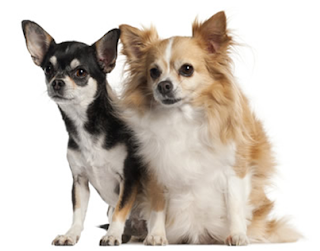 Chihuahuas are the ideal lovable, loyal and long-term pal. When you're alone in the house with a Chihuahua, you're never alone -- they sleep on your lap, sit by your side, or follow you from room to room while you do chores. When you're not home, they protect it like their personal domain, barking at the sign of any approaching stranger (making them surprisingly effective watchdogs). This endearing love and devotion, however, can sometimes evolve into a fierce protectiveness, making them a force to reckon with when they try to compete with other pets or family members for your attention. Nevertheless, this big-time attitude packed inside a pint-sized frame has a remarkable way of being endearing rather than annoying. Whether in an apartment, a house or a palace, a Chihuahua is perfectly accommodated. And they're fairly easy to care for, needing minimal exercise and food. But don't skimp on the attention: Chihuahuas crave affection and companionship to the point where they may resort to attention-getting tricks. And watch out - They are so quick-witted and cunning and sweet, you might find yourself doing an overtime shift of petting, scratching and cuddling. Chihuahuas have a long life expectancy - as much as 17 years - but they have a tendency to develop health problems like hypoglycemia, joint ailments, eye infections and bronchitis. Also, the tops of their skulls never fully develop, leaving soft spots ("moleras") that should be protected. Though Chihuahuas don't need as much exercise as larger dogs, they need daily walks. And they also like to be warm, so you might consider a little sweater for winter walks. Though picky eaters, they can easily be overfed. An obese Chihuahua is more susceptible to diabetes and a shorter lifespan. Bear in mind: The world's smallest dog could also be the world's cockiest. And Chihuahua owners will note -- during their very first walk in the park -- that this breed is fearless when it comes to confronting larger dogs. Don't be so sure that your Chihuahua will know when it has met its match; i.e., always remove them from conflict. Some people believe that Chihuahuas are one-person dogs and therefore not suitable for families. In truth, they may not be suitable for a small child -- since they would not tolerate teasing or random play -- but with proper training and gentle, positive reinforcement, they can adapt to any home. The Chihuahua is not an outdoor dog, it is an INDOOR dog. A Chihuahua can face all kinds of perils being outside, first of all there are birds of prey, even in the cities and a Chihuahua looks to be the right size meal to a hungry hawk. Good fencing has been knocked down by an antagonized big dog walking by your yard. My dogs bark at anything that walks by, human, animal, unusual sounds. They do not seem to understand that one bite from a big dog would be the end. All dogs are more territorial in their own yard, and bark even louder, and with more intensity. This is enough to make the most mellow of big dogs grow aggravated. They are so small they can get through the smallest of spaces. Check your fencing often for escape holes. 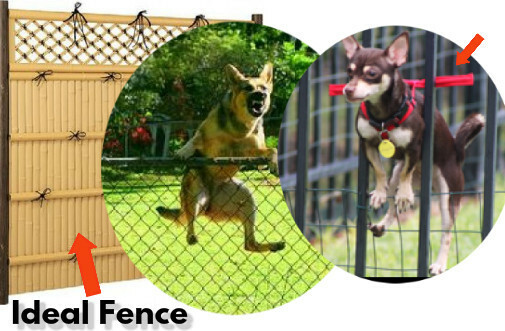 I once had a Chihuahua get stuck half way through a chain link fence gate...the opening between the fence and gate is perfect for a chi's head to fit through... if I had not been there, she may have died from exhaustion, suffocated or been attacked by another dog! 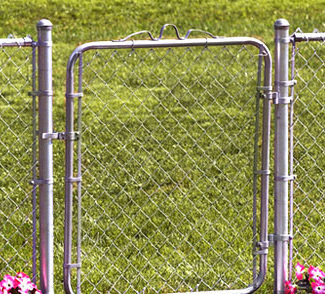 If you have low fencing, a bigger dog could jump over it, or a passerby could reach over and grab your precious baby. The Chihuahua - named for the Mexican state that borders Texas and New Mexico - is the oldest breed on the American continent. Historians believe they evolved from a wild dog called the Techichi that was domesticated by the Toltecs in 9th-century Mexico. Some even claim the modern Chihuahua originated from a cross between the Techichi and a hairless dog that came to North America from China via the Bering Strait. 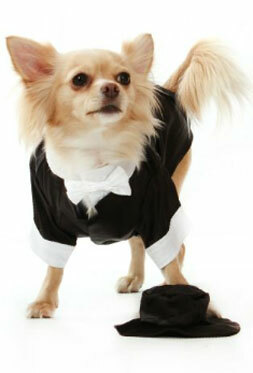 Chihuahuas were discovered around 1850 in Mexico, where merchants were selling them to tourists. They quickly became popular in the United States and were registered with the AKC in 1904. PICTURES OF DOGS RESEMBLING THE MODERN CHIHUAHUA APPEAR IN ANCIENT PAINTINGS IN MEXICO.